Many countries in the world are fast becoming a business hub with thousands of large and small corporations operating in diverse industries. The increasing rate of business activity has opened doors to technology aimed to boost efficiency, a crucial factor that can determine the fate of any business. Of course, with greater process efficiency, businesses can achieve more in less and take a lead. But technology isn’t as simple as it sounds, thousands of vendors and solutions experts are scrambling to make their product stand out. Human Resource Management Systems, BPM tools, ERP systems, Marketing automation and other variations of such systems are all designed to cater to specific business functions. However, the IT solutions and Services industry is still at a beginner’s pace. VCA, Value Creation Automation is among the top five solutions and services provider, aiming to assist local businesses across the region. With more than a handful of renowned clients, the vendors of VCA are on a fast track to success. VCA, an automation solution designed to boost process efficiency, lower costs and take away extensive manual dependency is the perfect ingredient for business ROI increase. In any business structure, the probability of problems is greater than one would expect. From poor communication to in-stable infrastructure and from resource wastage to high costs, the challenges a business should overcome falls on every business front. Poor operational management eventually leads to poor delivery and a bad customer experience. Your business’s internal processes should be value-based to even create an end-output worth your customers money. Before you even move on the quest of finding an automation solution, it would prove beneficial that you find out where your business falls behind what problems occur most commonly, and how your service is ranked in the market. You may be surprised at how minute problems in processes can lead to major process break-downs, time-consuming bottlenecks, quality downfalls and what not. These issues are often overlooked by businesses as they either cannot be quantified or even detected. Upon determining the need for an automation solution, you may think it will be relatively easy to buy a solution. It may also be possible to find a technological solution or software program for individuals business functions such as HR or Customer Service. But remember, it is difficult and unimaginably costly to purchase and implement more than one IT solution. On the other hand, an ERP system may seem like the best option which can cover a wide range of business areas including finance, but such systems are highly inflexible, expensive and may still require manual help. On the other hand, VCA is an all-in-one system which covers everything from finance to marketing and more. The solution combines various modules and creates a complex technological framework. This framework is controlled through a unified system. All data can flow seamlessly from one module to another. In other words, with everything put on a single system, there is no room left for miscoordination. All processes are virtually connected with one another. Employees and workers can perform tasks without interruption or delay, with every feature and tool available at their fingertips. 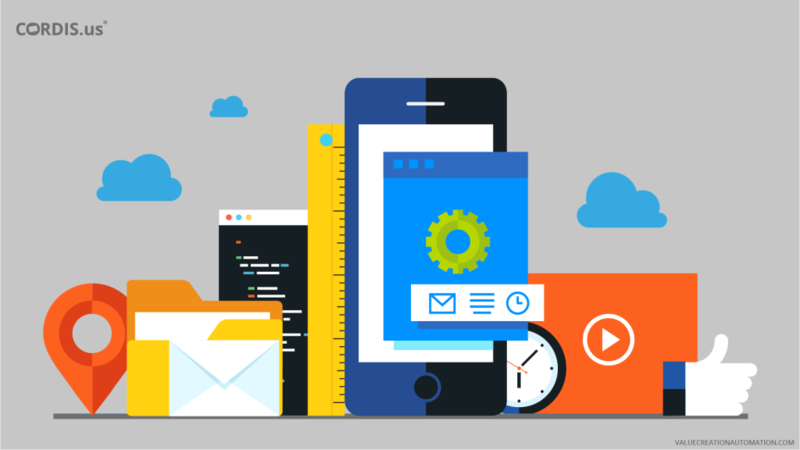 All communication platforms are integrated for smooth and seamless flow of information. Employees, workers, manager, Directors, customers and even suppliers can directly connect via VCA Pushcord platform. The HR tool embedded in VCA is designed to enable HR managers to perform basic as well as advanced tasks with accuracy. The system is able to identify roles, job descriptions, market availability, recruitment practices and aid with payroll management. The advanced finance module uses AI technology to compute, calculate and manage entire financial processes without manual efforts. The system is integrated with other modules to capture transaction data of any kind, determine taxation policies, update ledger accounts and books, create financial reports and so much more. VCA marketing combines a range of marketing tools to create a diverse platform for marketing functions. These enable the creation and execution of marketing strategies and promotional campaigns. VCA implementation creates a process structure which harmonizes human input and machine input. All processes are interconnected and run through VCA. The system oversees entire process cycles and manages minute-level inefficiencies to create value-oriented output. Supply chain functions become integrated and automated on VCA platform. The system provides a range of features which make this business area collaborative and streamlined. Risks can be costly if gone unnoticed. VCA automates risk detection processes and oversees entire production cycles for effective risk management. Most business owners associate high costs with automation solutions. This is a preconceived notion which has been built by world leading ERP vendors. Fortunately, the myth behind this has been debunked by many IT solutions and services providers. VCA has made it a point to become as affordable as possible for businesses of even the smallest size. What is the philosophy behind their pricing strategy? The answer to this question is simple and inspiring. The designers of VCA aim to revolutionize business activity by making technology affordable and accessible for everyone. Alongside this, VCA also brings efficiency to the customers side, enabling businesses and customers to reach out to one another without a hassle. If we take a look at the average price of an ERP system, it can cost anywhere between $5000 to $10000, and this is only the implementation fee. The costs may go higher with additional services such as technical set-up, hardware installation and training. 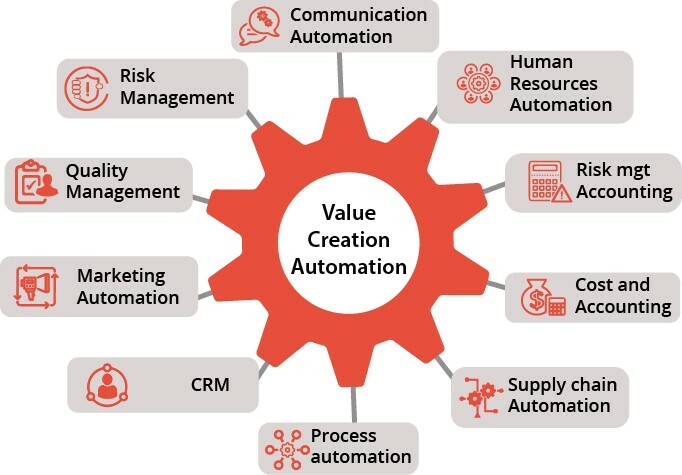 Value Creation Automation is affordable as it has no major implementation fee or other requirements. You can pay for the service on a monthly basis and the amount will depend on how many users you have. This fee is remarkably lower in than competitors and promises more value in return. 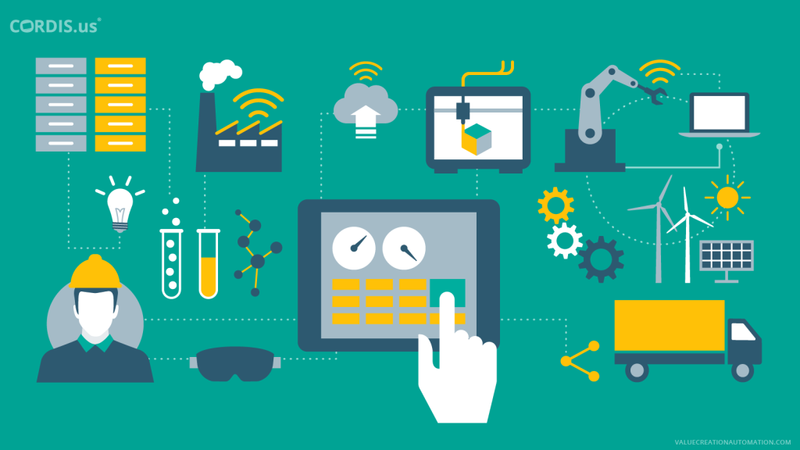 Value Creation Automation is cloud-based, which means you don’t have to invest in hardware of any sort. Your worries regarding high costs are gone. The system uses advanced AI technology to create sophisticated security parameters to ensure information on cloud is safe. VCA can also be available on a hybrid format, which means you can install a server and also function via cloud. Value Creation Automation has gradually building a reputation in the industry with its advanced platform. The system is breaking norms and giving businesses the opportunity to gain trust in its services. As we have mentioned before, ERP systems and other related IT solutions may be a first pick for many, but this choice is based on outdated information and misconceptions. Evolution is an important point to remember when talking about business growth. The most highlighted problems of ERP systems in their inability to evolve with time. An ERP follows a rigid structure which cannot detect proves change requirements from external resources. This means, your business cannot address changes and make necessary adjustments to meet new demands. Changes in the system or wanting to upgrade the system would be costly and time-consuming. On the other hand, VCA uses AI technology to detect variations in process requirements. These are integrated into the technological framework for changes. Evolution of processes becomes automated and can enable businesses to capitalize on major market opportunities. If businesses actually want to advance in their plans, it is recommended that a technology which is flexible and value-oriented should be the first choice. Business growth is mandatory for any business no matter the industry-type. Those unwilling to adapt to changes will eventually fall out of the race and die. The right path to successful business opportunity requires a combination of technology which assists and the right manpower, all at a cost which is affordable. But don’t take my word for this. You can get information directly from the experts and experience VCA. If you want to see what VCA functions as, you can book a free trial or a consultation with the experts by calling on +971-04-5195999 or visiting www.cordis.us.